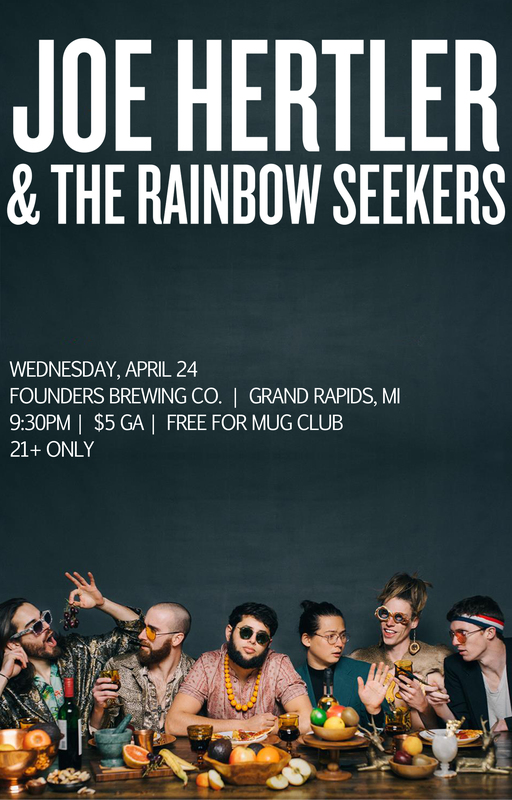 Joe Hertler & The Rainbow Seekers - Founders Brewing Co. If you’re still reading this, at least one thing is true: The Rainbow Seekers have been waiting for you. If you’ll only let them, they will shake the dust from your wildest expectations. They will roar into your life with rapturous frequencies, exuberant tone, and a joyfulness of purpose that has truly become a rare sight on stage. Join them in their celebration, and they will take you on a never-ending journey to a place you’ll never be able to describe in words.